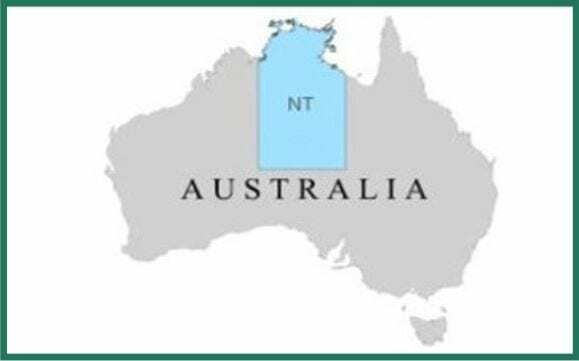 Verdant Minerals Ltd’s strategic intent is to create shareholder value through the discovery, development and operation of fertiliser and industrial mineral projects, located in close proximity to existing transport infrastructure, with a primary focus on the Northern Territory of Australia. 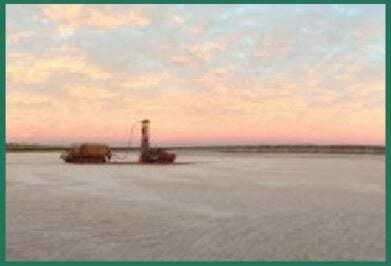 Verdant Minerals Ltd’s portfolio of projects includes the global scale Ammaroo Phosphate Project, a portfolio of Sulphate of Potash projects and the Dingo Hill Silica Project. The Ammaroo Phosphate project is a potential large scale, higher capital, global scale industrial project that with the participation of a fertiliser industry partner, could be realised in the medium term. The Karinga Lakes Sulphate of Potash Project and potentially the Dingo Hole Silica Project offer opportunities to potentially develop small scale, low capital start-up operations that could enable operating cash flows for the company over the nearer term. 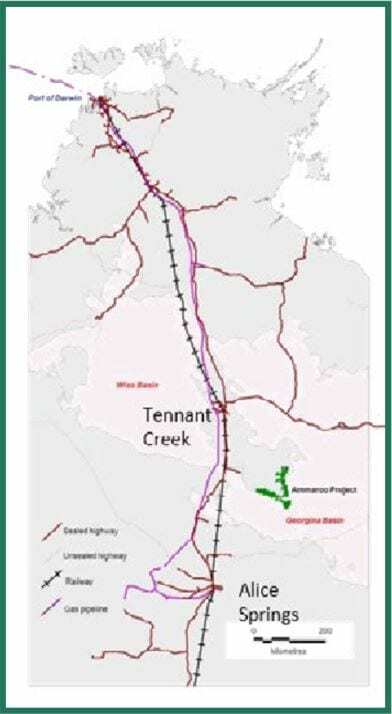 The Ammaroo Phosphate Project is located 220km southeast of Tennant Creek. 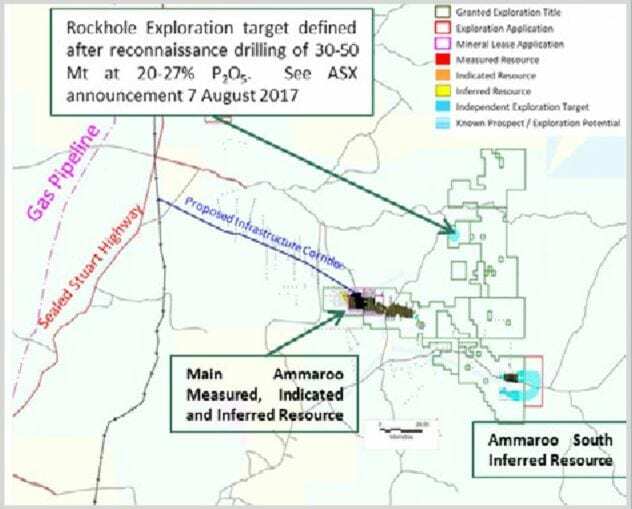 The project area contains the billion tonne 40km long Ammaroo Phosphate JORC Resource, the satellite Ammaroo South JORC Resource and the Rockhole phosphate prospect. A Bankable Feasibility Study and Environmental Impact Assessment (EIS) are currently underway with the Draft EIS is available for viewing by going directly to the EPA website. 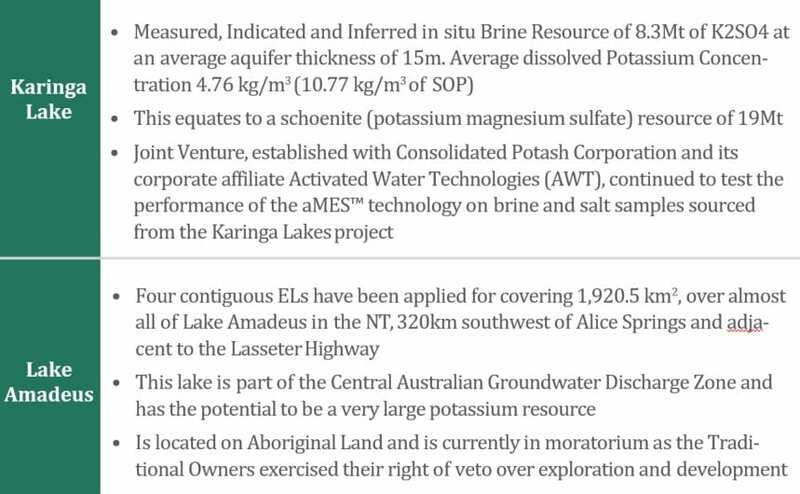 Verdant Minerals has a portfolio of sulphate of potash projects in central Australia.